I started restricting food in ninth grade. I took a cup of cereal to class and made it last until lunch. Lunch was a bagel with low fat cream cheese and a plate of vegetables. I tried not to snack during the day before my two and a half hour swim practice. Dinner was as small as possible. Small was beautiful, and small was what I was supposed to be, despite the fact that I was already taller than the majority of the boys, and competitive swimming made my shoulders and arms bigger than the majority of the girls'. That behavior wasn't sustainable, it's hard to swim 8,000 yards a day when you don't eat enough, and my eating habits started to normalize. When I got to college, I had to figure out how to balance the things every athlete has to balance - school, training, a social life, finding a job, and more. I still had trouble coming to terms with how I looked, even if having bigger arms and shoulders than the "normal" girls made me a better swimmer. I struggled with bulimia beginning in sophomore year of college, figuring if I slipped up and didn't follow all of my (completely arbitrary) food rules, I could immediately fix it (absolutely not how things work). Thankfully, I got those behaviors mostly under control by senior year, and sitting here now, it all seems so ridiculous. Why would I want to be smaller? 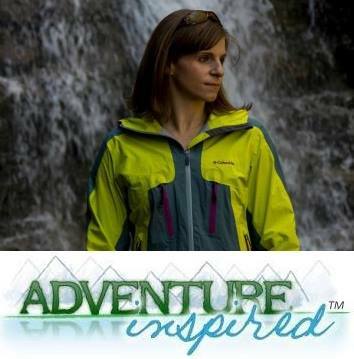 How would that help me be a better swimmer, hiker, backpacker or mountain biker? How would that make me happier? It took me a long time, but I no longer attach the majority of my self worth to what I look like and if my body is in line with an ideal, whatever that ideal is. 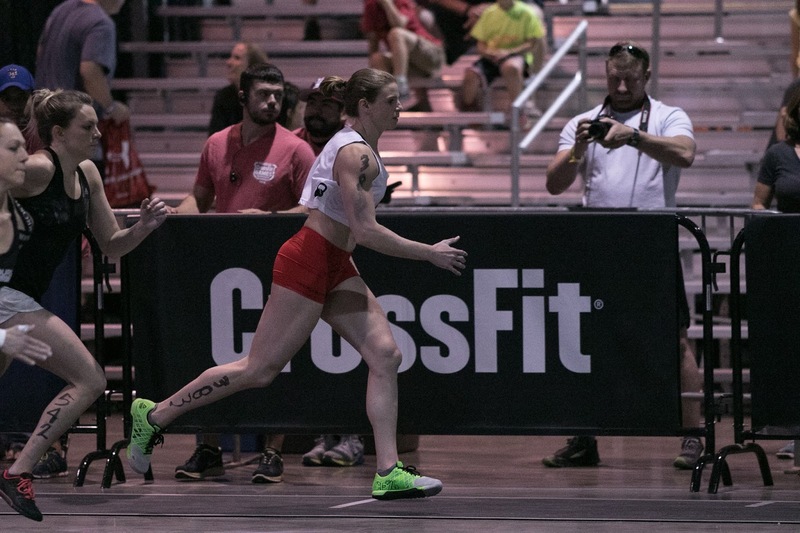 A lot of what I learned came from time spent at CrossFit Love, a community that's home to people who value what bodies can do over what they look like. The genesis of this piece is this video, among other things, and in an effort to piggyback on what Molly Kelly had to say, here's what I learned by focusing on strength and performance over aesthetics. CrossFit and weightlifting taught me that strong isn't the new skinny, it just...is. Rewind back to college. I wanted to be smaller, but also to be "toned." I wanted sculpted muscles, not big muscles, and I wanted a six pack. Somehow, that was going to make me happier and more desirable. In reality, different body types are desirable to different people, and some people can see multiple body types as desirable...shocker! I never got the body I thought I wanted, but I did make a bunch of arbitrary rules for myself about diet and exercise that just didn't make any sense. I love the idea of trying to reshape social norms that result in women and men alike trying to achieve an ideal that doesn't make sense for everyone. An ideal that isn't achievable by everyone. But "strong is the new skinny" perpetuates yet another ideal. It's a new title on a new pedestal that might replace other ideals that are unhealthy for the majority of us, but it's still a title on a pedestal, and it's still not healthy, or ideal, for everyone. Let's just all agree to be whatever we are, whatever makes us happy. CrossFit and weightlifting taught me how to be highly aware of my eating habits without it being unhealthy. I started tracking protein, fat, and carbohydrates last fall under the guise of my CrossFit coach because I wanted to be the best athlete I could be in time for my third trip to CrossFit Games Regionals. I was cautious, worrying I'd slip into old eating disordered patterns, but my motivation was different this time. I was motivated by performance, not aesthetics. 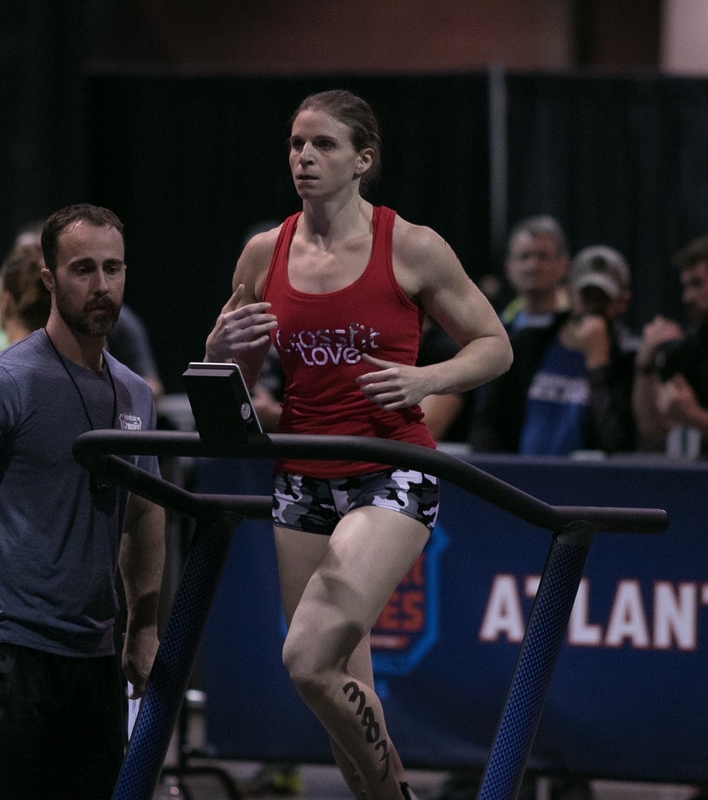 By the time the 2015 CrossFit Games Atlantic Regional rolled around, I looked like some of the other athletes I'd admired for so long, and I was physically ready to go. But man was it a lot of work, and what really made me happy was how I'd gotten better at CrossFit and what my muscles represented. So, how was someone who'd struggled with bulimia able to track food without falling back into unhealthy patterns? What changed was my "why." I wasn't conscious of what I was eating because I wanted to change how I looked. I was doing it because I liked the way I felt and how I performed when I ate a certain way. I'll always be a perfectionist and will always have trouble managing my reactions to falling short of my goals, but when my goals aren't related to aesthetics, it's much, much easier. 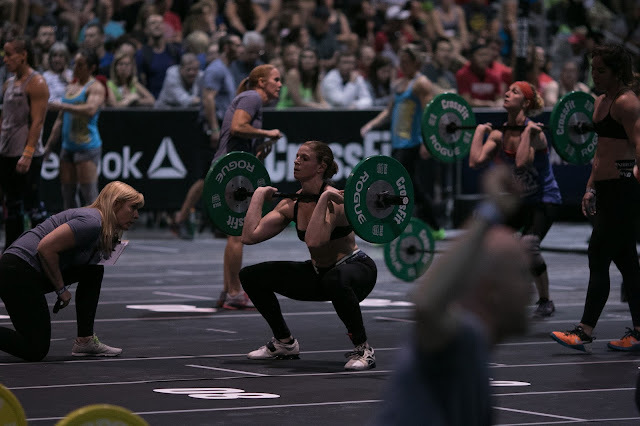 CrossFit and weightlifting taught me that it's okay take risks, to be assertive, to be loud, and to be bold. I started CrossFit in 2011 with a reasonable amount of confidence in my ability to do things, but needed a lot more to be successful. I didn't make much noise when I lifted, hesitated to drop a barbell because it would call attention to me, and worried about looking silly. I picked workouts that highlighted my strengths and occasionally skipped workouts that highlighted my weaknesses. Eventually, I latched on to one particular woman at my gym. I wanted what she had - confidence, strength, and a take-charge attitude. Those attributes made her a better athlete. I started walking up to barbells with confidence and accepting that it was okay to fail because it meant I was taking risks. I started learning how to stop thinking about what I looked like unless it benefited my technique. I began to understand that if I didn't believe I could make a lift, I wouldn't. I practiced thinking about how amazing if felt to make a lift, not how awful it would feel if I failed. The barbell doesn't care if you're scared, and the weights won't magically become lighter because you don't believe you can lift them. Who cares if you have to yell a little bit, stomp a little, or if your face scrunches up when you're about to lift heavy? Who cares if after all that racket, you don't make the lift? You will eventually. Belief in your ability is so unbelievably important. At the end of the day, you'll remember the achievements, not the funny faces, (even if they're caught on camera). CrossFit and weightlifting taught me that if I work hard, I can do things I've never done before. It seems intuitive, right? If you keep doing the same thing, if you don't push yourself, you'll stay where you are. It's comfortable to stay where you are. You don't have to take risks, you don't have to worry about failing, and no one's going to pay attention to you. You're safe. But safe is boring. If I set a PR (personal record) on a lift, it's not because the odds were in my favor that day, or my opponents didn't do well, or I looked a specific way. When I succeed in CrossFit and weightlifting, it's my effort that caused the change. It's a combination of hard physical effort, fine tuning my mental game, nutrition, the right coaching, being willing to try new things to get better, and the decisions I make every minute of every day about what's most important to me. And if you'd told me before I started CrossFit that someday, I'd be able to throw 225 pounds over my head, I'd have laughed. But I can, and I can because I've had great coaching, amazing teammates, I've worked hard, and I stopped caring about what would happen if I failed. If I miss that lift, my life isn't, in the great scheme of things, greatly affected. But man does it feel amazing when you realize you're going to reach your goals. That's a big thing. 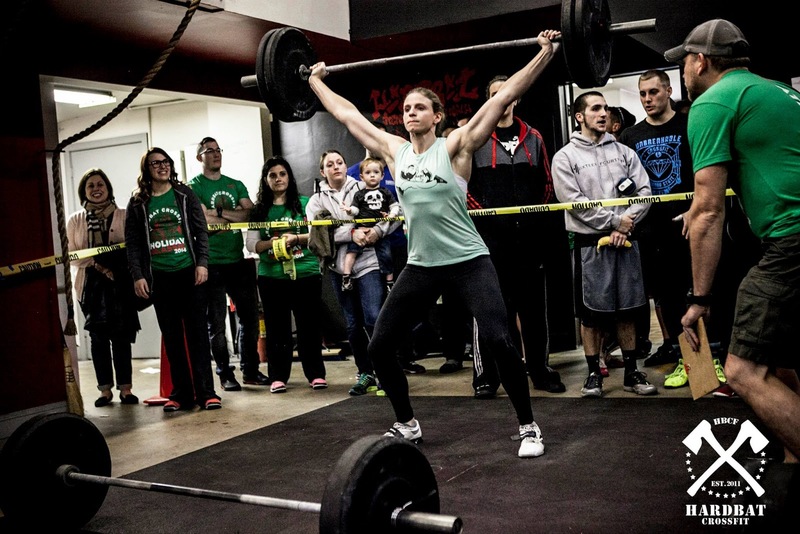 CrossFit and weightlifting taught me that I'm not the only one. I'm not the only one who had trouble dealing with gaining muscle mass as a result of the activities I loved, and how it was in conflict with the perception that being smaller was better. I'm not the only one who worried about being seen as intimidating, about the boys picking the smaller girls, or about how my life was somehow made much worse by the fact that I didn't fit into an elite group of ideally perfect bodies. But now, I'm lucky enough to spend time with people who value strength, drive, work ethic, and so many other things above appearance. 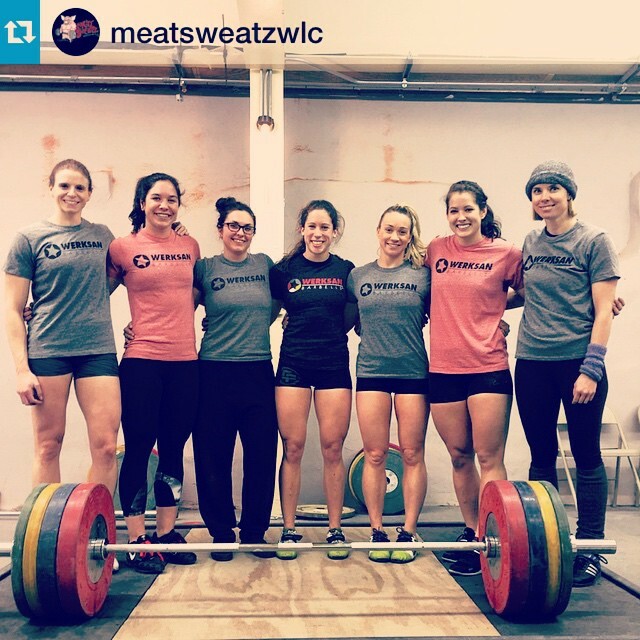 And weightlifting doesn't have to be the way women choose to celebrate their strength. Celebrate being able to hike up a giant hill, mountain bike like a champ, run further than you could before, or climb up anything you want. It's not about what you do or don't look like, or who you do or don't intimidate; it's about learning how to be confident in who you are and what you can do. It's an ongoing journey, making sure I don't place too much emphasis on appearances versus performance, and how I deal with my relationship with food, especially when I'm not training the way we did prior to the Atlantic Regional. To everyone who made it through this piece, which is a significant departure from most of what I share here on Adventure-Inspired, thank you! I'd love to hear your thoughts on anything I've written, including agreement, disagreement, if any of this rings true, or anything, really. Leave a comment!